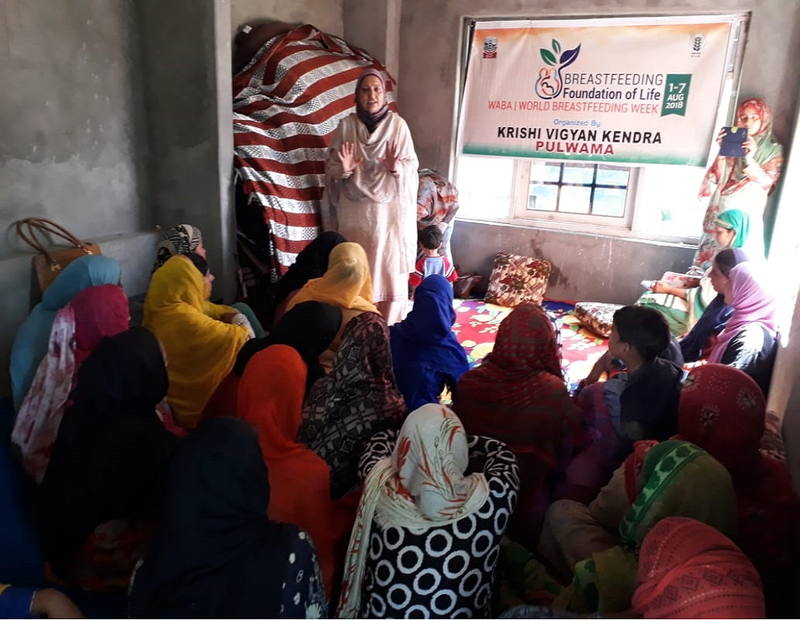 Activity 1:- Awareness among the community:- To galvanize support and build an alliance locally with individuals and to sensitize on breastfeeding and nutrition issues in the community, three awareness programmes were organized for pregnant ladies, lactating mothers, family members in different areas of KVK, Pulwama. NGO, “SHIRKAT” was also involved in these programmes. Mothers were educated on breastfeeding the premature babies, how breast milk works, latching Vs bonding ,positions, care of breasts before and after feed, contents of breastmilk ,expressing breastmilk , nutrition for mothers and advantages of breastfeeding to the mother and baby. Activity 2:- The interaction programme was conducted for anganwardi workers at KVK campus. The home science scientists explained in detail the importance of breastfeeding, various positions and attachment while feeding, positioning the baby, techniques of breastfeeding, expression of breast milk and management of breast conditions. The scientist emphasized the Anganwardi workers to transform these information to the mothers in their practice area. The programme was attended by 30 Anganwardi workers. Activity 3: Demonstration on low cost nutritious recipe for lactating mothers:- Awareness on Importance of diet for lactating mothers was given to the pregnant and lactating mothers and were given demonstration on the same. Activity 4:- Slogan competition in college. 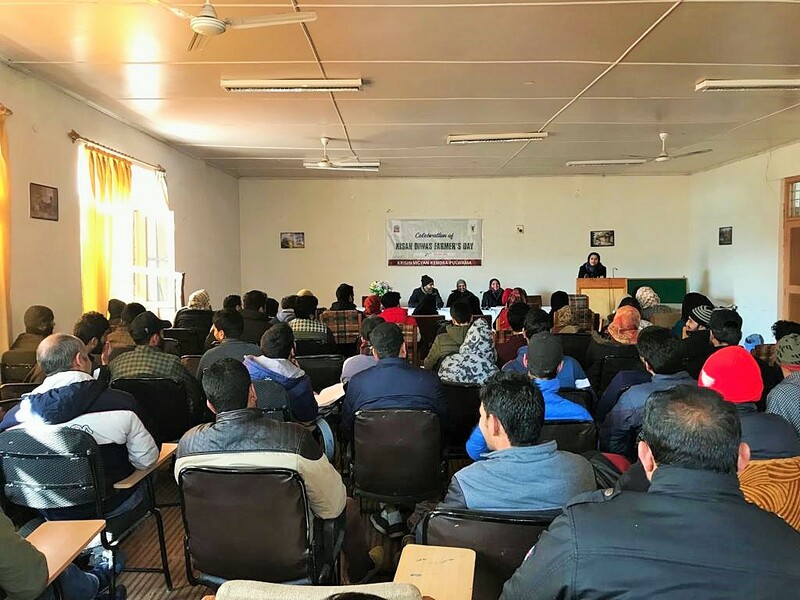 In order to create awareness and sensitize the students regarding importance of breastfeeding, slogan competition was organized in degree college Tral. The college principal, lecturers and other staff members were actively involved to make the programme successful. Awards were also distributed to the best two performers. Activity 5:- Community awareness through literatures developed in local language. To bring awareness among the public folders on the topics-‘Benefits of breast feeding’ and ‘Hygienic practices to be maintained by the farm women during breastfeeding” were prepared in the local language for distribution. National Nutrition Week was organized by KVK Pulwama(Ist- 7th Sep 2018). 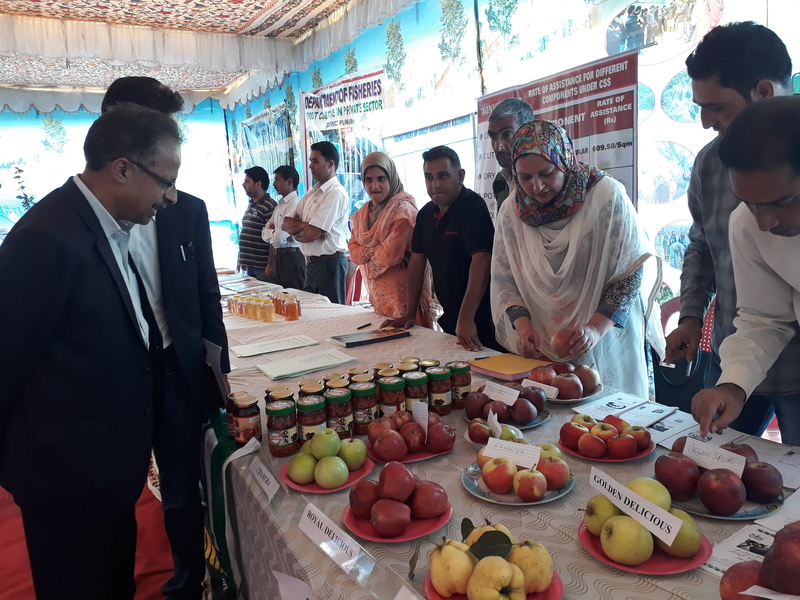 During the week demonstrations were conducted on low cost high nutritious recipes while as lectures were delivered by our scientists at various colleges and high schools of District Pulwama. Moreover, the ASHA and Angnwandi workers were also made aware through documentary films on child nutrition and the importance of breast feeding. Besides, the farm woman and girls were also educated and sensitized about the importance of nutritious diet at various stages through efficacious lectures. Furthermore, leaflets and folders were also distributed among the participants. The world breast feeding week was organized all over the world in order to draw attention to the vital importance of breastfeeding, not only in the lives of the most disadvantaged children but also in the strength of societies. The theme of this year’s World Breastfeeding Week, was “Breastfeeding-Foundation of life”. “Breast feeding week” was organized by KVK, Pulwama from 1st Aug. to 11th Aug. Awareness programmes, demonstrations, interaction programmes and slogan competition were conducted at different remote areas of the district for the Anganwardi workers, pregnant ladies, postnatal mothers, school girls, family members and the public. The world soil health day was organized on 5th Dec all over the world in order to give a wide publicity to the soil health and raise awareness. 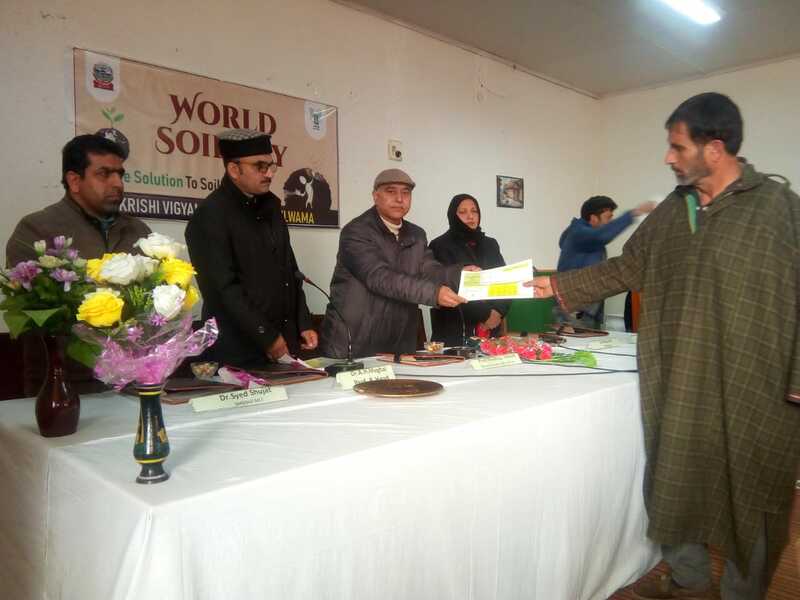 Kissan Diwas – farmers day was organised on 24th Dec 2018 at KVK Pulwama campus which ended with fruitful Farmer scientist interaction. A Mega fruit show was conducted in collaboration with the Dept. of Horticulture at the KVK campus on 27-28th October 2018.It was presided over by the District development commissioner and Secretary, Horticulture J&K Govt. It was attended by about 200 farmers from the district in which the farmers were exposed to the adoption of High density plantation and were given awareness about the different schemes of the Dept. of Horticulture.